July 27, 2015, 10:48 a.m. The Petroleum Revenue Management Law Act 815, Act 2011 has provided the legal basis for a long term national development frame work for the country, Dr Nii Moi Thompson, the Director General on the National Development Planning Commission (NDPC) has said. 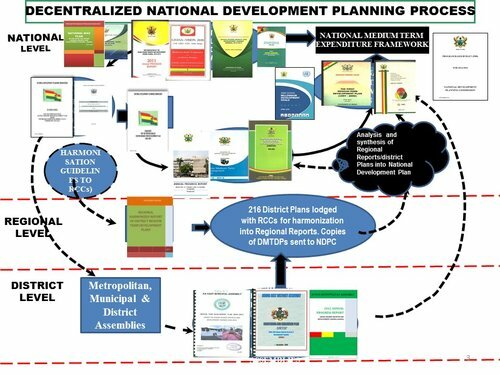 "The only issue left to us is to get the buy-in from the political parties and other stakeholders," Dr Thompson said this on Friday when officials of the NDPC met the executives of the Progressive Peopls's Party (PPP) to brief them on the processes towards the formulation of a long term development framework to be launched on August 4. Dr Thompson said the Petroleum Revenue Management Act required that such a development framewwork must be approved by Parliament. This was when the executives sought to find out from the NDPC whether there was a legal basis that would compel the political party in power to abide by such a long term development framework. 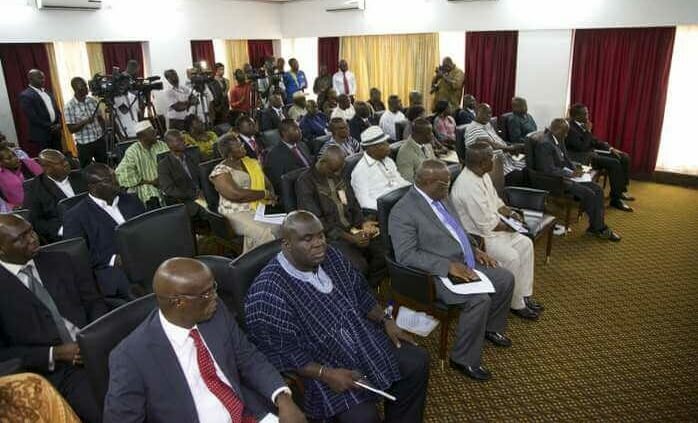 The Petroleum Revenue Management Act 815, Act 2011 18(2) states: " The exact percentage of the benchmark revenue which shall be guided by a medium term development strategy alligned with a long term national development plan, absorptive capacity of the economy and the need for prudent macroeconomic management"
The executives were Kofi Asamoah-Siaw, National Secretary, William Dowokpor, Policy Adviser, Mike Eghan, Chairman of the Advisory Council, and Akyaaba Addai-Sebo, member of the Advisory Council, Berlinda Balley, National Women Organiser and Eva Lokko, the running mate of the party in the 2012 general elections. 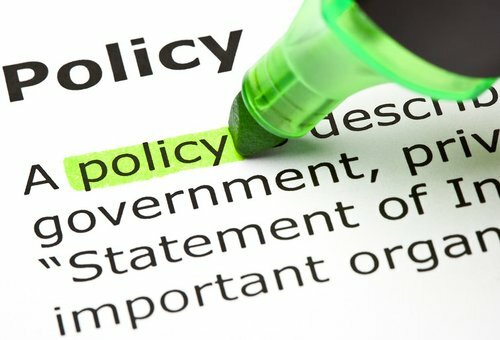 Dr Thompson explained that the 40 year long term development framework expected to be in place by 2017 would set out the "high level goals" based on the vision of the country to attain a "free , just and prosperous society," for political parties that come to power to work toward attaining the national vision. the NDPC Director General said the framework would be broken down into ten-four-year medium terms that would allow political parties to come in and pursue their plans based on their manifestoes and ideologies. pHe said the NDPC had reviewed all past development plans and learnt lessons from them and would be incorporated into the nationwide consultations towards the formulations of the long term natioanal development framework to guide the development of the country. Mr Asamoah-Siaw said the PPP welcome the processes toward the formulation of a long term national development framework but expressed concern that a ten year development framework would have been appropriate based on our past experience that "we have not fully implemented." he expressed the hope that NDPC would take "a centre stage" in running the processes toward the formulation of the long term national development framework "so that political parties will not hijack it and do propaganda with it." Mr Addai-Sebo said the challenge with the national development framework was the presence of what he termed as "new Ghanaian to carry out the vision" adding "we have failed the country." He said past governments had made it possible for the current generation to have the benefits of education in the good universities in the country and beyond , "but we have failed the people." Mr Addai-Sebo expressed regret that after 58yeras of independence, Ghana was still wallowing in poverty with people living in slums adding that "Accra is a glorified slum, and Kumasi is worse."